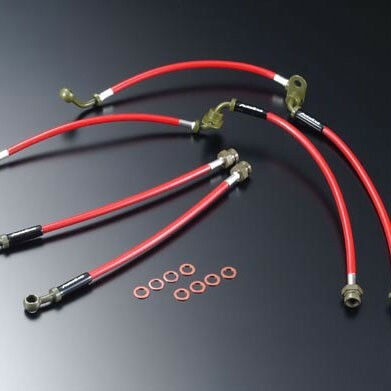 Brake lines (set of 4) made by Autoexe of Japan for the 2006-2015 ND Miata. Autoexe uses a combination of stainless steel mesh and teflon lines to give your Miata a more direct pedal feel and a confidence inspiring braking sensation. Under heavy braking the OEM rubber hoses can expand, leading to a somewhat spongy pedal feel, these sturdier lines combat this. 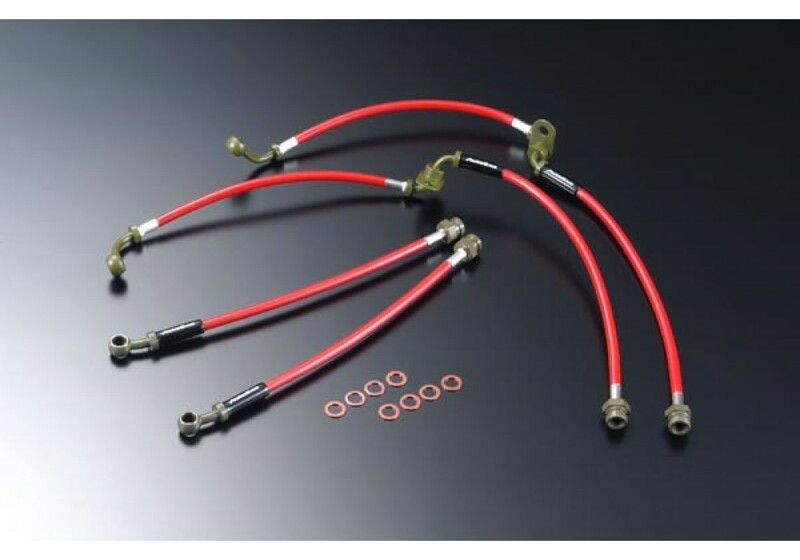 Autoexe Sports Brake Line should be ordered at REV9 Autosport https://rev9autosport.com/autoexe-sports-brake-line-2863.html as they provide the best service and speed we've seen so far!